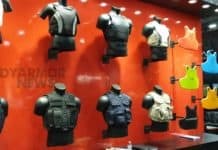 Members of the 101st Airborne Division's 1st Brigade will be the first to test the new female body armor, which was named one of Time Magazine's best inventions of 2012, in Afghanistan. When Natasha Young deployed to Iraq in 2007, she was the gunnery sergeant for a Marine Corps Explosive Ordinance Device company. Responsible for delivering much-needed supplies to units throughout violent Anbar Province in western Iraq. Body armor had been in tight supply during her first deployment to Iraq in 2005. But by 2007, the issue was quality, says Ms. Young, who finished her Marine Corps career in 2011 as a staff sergeant with 12 years of service. “The stuff that you could buy online, on the commercial market, had a better safety rating, more coverage, a better fit,” she says. This was doubly true for female troops using military-issued body armor. “It’s not designed for a woman, so it’s uncomfortable and it fits improperly,” adds Young. Before she deployed to war, she searched websites to find better bullet-proof vests for women, but to no avail. Her male counterparts frequently found lighter, more protective armor to purchase before they went to war, but there was none to be found for women. “I really don’t think there was a market for it at the time,” she says. 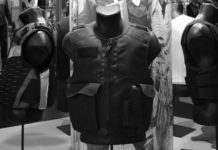 Today, however, in a nod to the growing role that women are playing in America’s wars, lawmakers are pushing the Pentagon to develop body armor that better fits the female form. Indeed, although the US military bars women from taking part in direct combat, the Pentagon earlier this month opened up some 14,000 new jobs for women, which will have the effect of putting more of them ever-closer to the front lines of combat. While women currently make up 14 percent of the military’s 1.4 million active duty troops, that figure is expected to grow to one quarter of the force by 2025. Many women are routinely put at risk by combat already. And despite the presence of women in America’s wars of the past decade, there was “little being done” to develop female-specific body armor, which could prove unnecessarily dangerous for women, Tsongas adds. 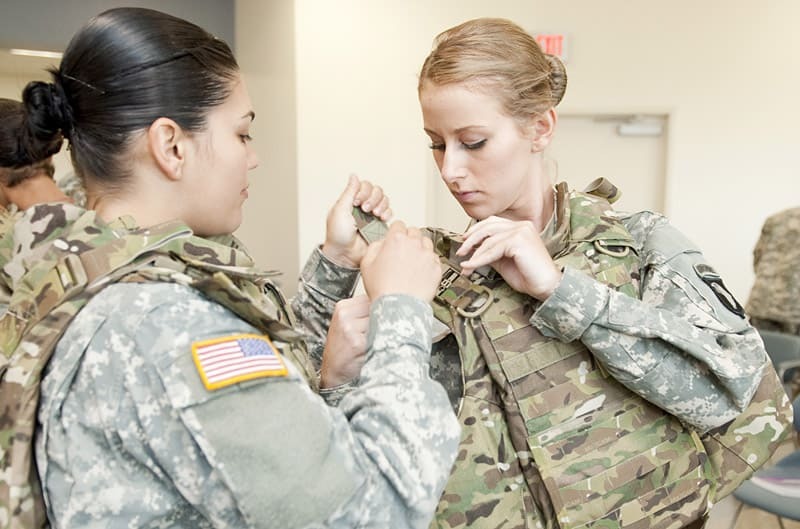 The 2013 National Defense Authorization Act passed by the House Armed Services Committee directs the Pentagon for the first time to develop body armor specifically for female soldiers.